In the deep imaginations stimulating forests of Kronoberg, is where our NGO is based. Here we run the Land of Legends. 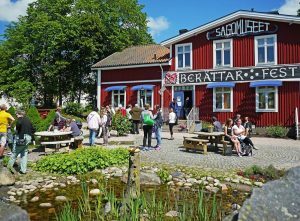 Some of Sweden’s most influential storytellers have lived here, people have passed down legends of troll mountains, sacrifical springs, dragon treasures, magical trees and haunted manor houses. These fantastic tales and legends have amused and scared people for generations. The stories have been passed down by word of mouth, from generation to generation and this continues even today. In the Land of Legends, the tradition of verbal storytelling lives on. The NGO was founded in 1990 with the aim of encouraging storytelling and highlighting our treasure of folktales, legends and oral tradition. Today, the Land of Legends includes an international storytelling festival, a museum -the museum of Legends and Legendary places in the landscape. We are working with storytelling in many fields. We even run our own university course. The NGO has members from all over the Nordic countries and we have a large international network regarding storytelling. We work in Sweden but also abroad. (d) knowledge and practices concerning nature and the universe;(e) traditional craftsmanship. 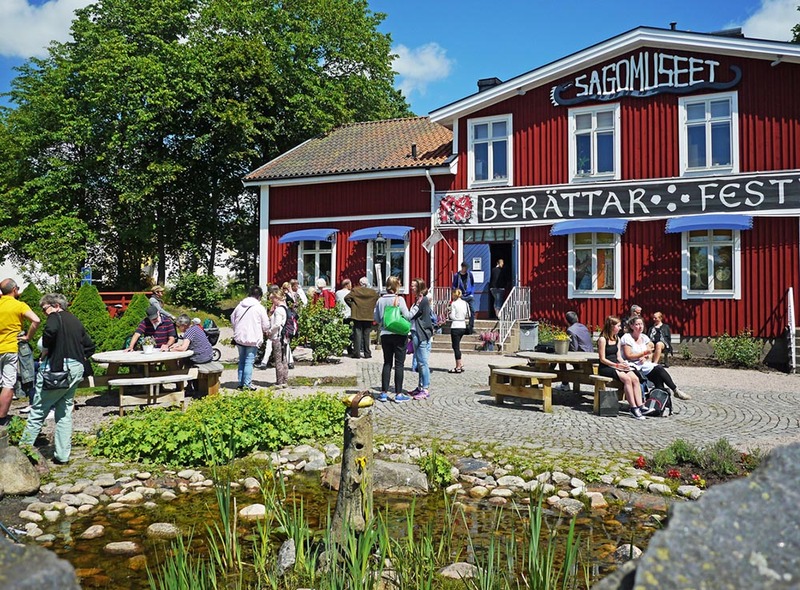 From 1991 on, the Ljungby Storytelling Festival has been organized every summer, attended by storytellers, academic experts and story-lovers from the Kronoberg region, elsewhere in Sweden (including story-tellers from minority communities) and, increasingly, the Nordic Region. They come to perform and listen, to follow or give seminars and lectures about storytelling and safeguarding approaches, or workshops for training new storytellers. The Festival, with an average of 50 artists and instructors and up to 1500 active visitors, is an important forum for sharing approaches in renewing storytelling traditions. 2. Promoting the tradition among the local population. 2.1 Some 80 Legendary Places linked to specific stories are documented and marked in the Land of Legends, 40 of them by wooden story cabinets. You may find them by using a special map or geocaching; you can open them and read local legends or listen to them using dedicated apps. Storytelling is regularly practiced around the cabinets, often accompanied by traditional music. 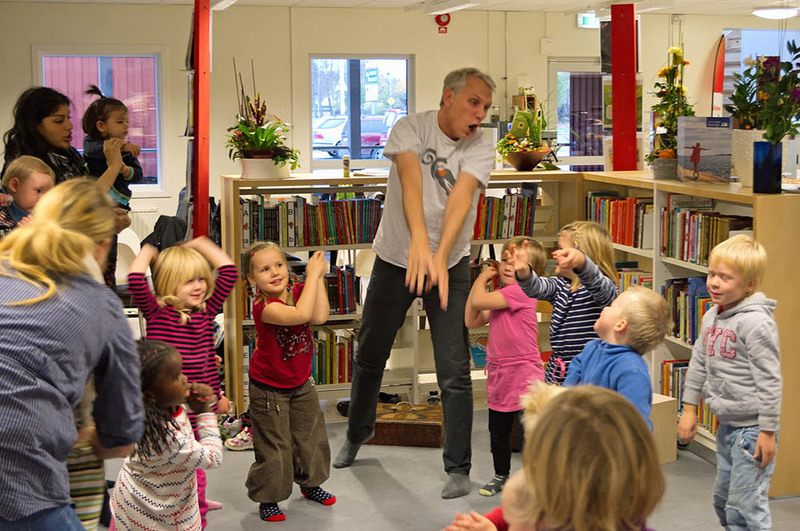 2.2 All year long storytelling activities are organized throughout the Land of Legends, in cafés, in schools and at business events, to reinforce the place of storytelling in local society and for entertainment. We yearly introduces about 14,000 people, including school classes and tourists, to the tales and legends of the Region. 2.3 Storytelling camps for teenagers are organized. 3. Activities in schools and in academia. 3.1 These activities are aimed at raising awareness about storytelling, and at transmitting the art. (b) with immigrant children – to help them improve their knowledge of the Swedish language and ways of life, and talk about their own experiences. 3.3 We contributes to academic courses for future teachers who intend to use storytelling in their primary and secondary school teaching. 4.1 We have developed methods and textbooks for storytellers and staff of nursing homes for assisting people affected by dementia. 4.2 Similarly, methods has been tested and materials created for working, in their own environment, with mentally challenged people. 4.3 The staff of the Museum also uses storytelling to help people cope with difficult collective and personal experiences. In 2005, when a devastating storm hit southern Sweden, in particular the Land of Legends, the forest fell and many lives changed radically. We then launched an appeal: “Talk, write, and paint about the storm”. The many responses resulted in a publication, a CD, radio programmes and storytelling performances. 5. During 2018 we have also started to investigate how we will connect more research to our work and an international master in oral tradition. The above activities involve promotion, revitalization, transmission through formal and non-formal education, enhancement, documentation and research.